The new Pro Cloth Plus - our pro for perfect cleaning results throughout the whole household. 100% Made in Germany! Makes terraces and garden furniture fit for summer in no time at all. With this set, you make outside plastic surfaces look as good as new. Fresh colour and material care in a single step – super fast, super effective! Removes stubborn dirt quickly and gently from all types of wheel rims and is completely eco-friendly and protective of material. For smooth, water-repellent car paint and brilliant deep shine. Effectively protects against environmental influences and quick new soiling and is very quick and easy to use. 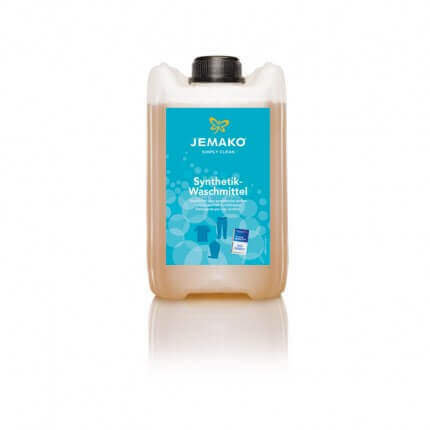 Special detergent specifically for cleaning synthetic fibres, such as functional textiles, sportswear and JEMAKO fibres. The skin-friendly detergent impresses thanks to especially good dirt and grease dissolving properties, removes unpleasant odours, maintains the functions of the textiles and provides a pleasantly fresh fragrance. Highly active, rapidly effective, gentle on material – our limescale remover removes limescale deposits from coffee machines, kettles etc. reliably and without leaving deposits. It is economical in terms of consumption and biodegradable. 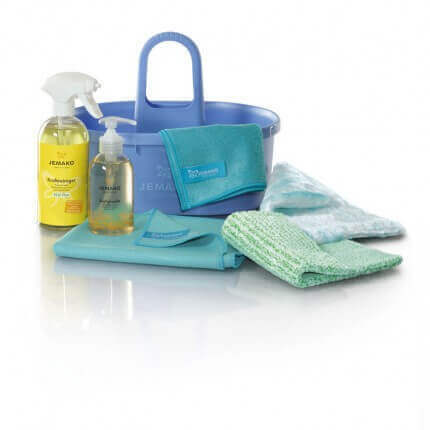 With this set you always have everything you need for thorough cleaning in the kitchen area at hand. Now with free Bucket tray! Cleans all glass surfaces and mirrors without leaving streaks and even removes greasy stains reliably – the environmentally friendly glass-cleaning professional with the ECO Plus certificate. Powerful cleaner for the household, garden, garage and commercial kitchen. Thanks to soda active power, also cleans very dirty surfaces quickly and effectively. Ideal for all water-resistant surfaces. 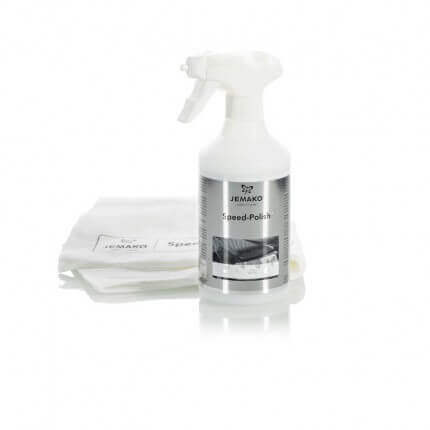 In combination with the Speed Polish Cloth, quickly and effortlessly removes dirt such as water stains, pollen or dust from all painted surfaces and leaves a brilliant deep shine. 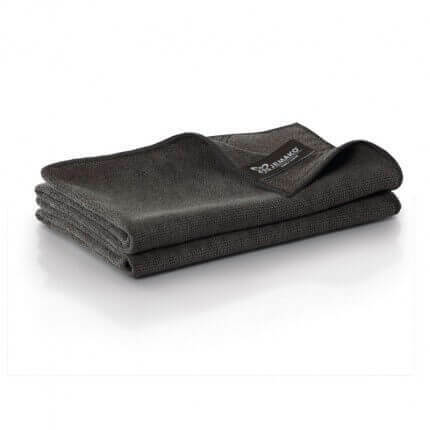 Protects against environmental influences and prevents the surface getting dirty again quickly. Spray, wash, finished! The highly effective cleaning professional for the kitchen area cleans refrigerators, microwaves, rubbish bins etc, quickly and reliably. Extremely practical: additional wiping with water is not necessary. For hygienic, food-conform cleanliness. 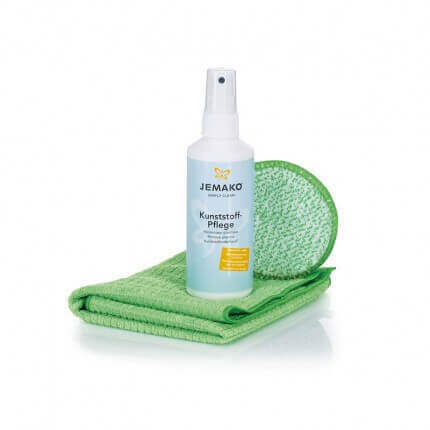 Quickly and permanently neutralises unpleasant odours – without leaving any traces behind. With pleasant fresh fragrance. Brings a bright shine to all wheel rims. The acid-free cleaner removes brake abrasion and other stubborn dirt quickly and easily – and is extremely gentle on the surface. Together with the Vehicle Interior Cloth, the perfect combination for thorough cleaning of the vehicle interior. Removes grease, nicotine, dust and other dirt quickly and effortlessly and is particularly protective of the material. With antistatic effect! For a perfect deep shine! The 2-phase shampoo with cleaning and shine phase thoroughly removes all typical street dirt, cares for the treated surface and leaves a smooth, highly reflecting paint. Makes nearly every textile water and dirt-repellent. Clothing such as shoes or jackets can be impregnated just as easily and quickly as outdoor stone or wooden surfaces. 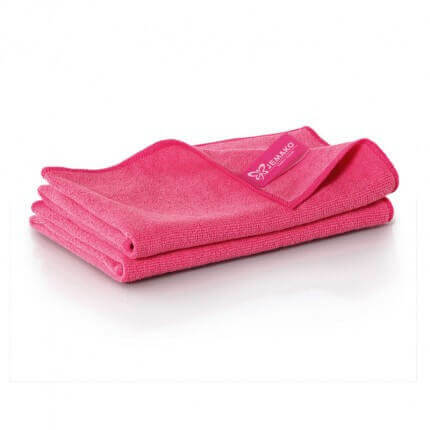 Offers ideal protection against ingress of damp and dirt, both inside and outside.